The newly renovated Teatro Marti (Marti Theater) is worthy of two photos today. Since the early 1960’s this landmark building existed as a shell of its formal self... literally. Located across the street from the Hotel Saratoga, the building was condemned and stood like an ancient ruin than a functional theater. I first stumbled across the theater in 2010 and marveled at what once was a surely grand stage. Opened in 1884, it was known for its presentation of satirical plays and held the first drafting of Cuba’s Magna Carta. It reopened in February of 2014. 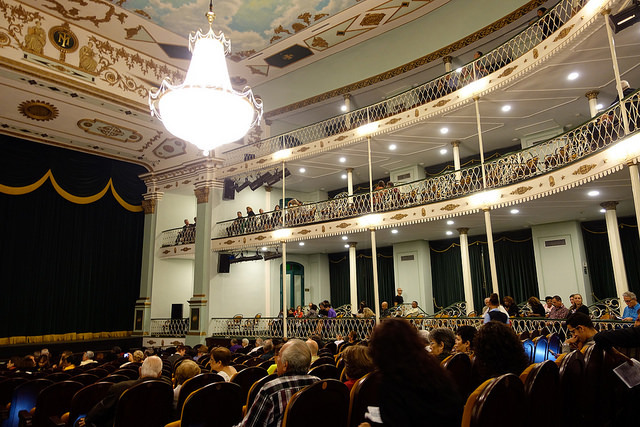 To get an up close and personal look at the Teatro Marti, travel to Cuba on any one of our Cuba tours. 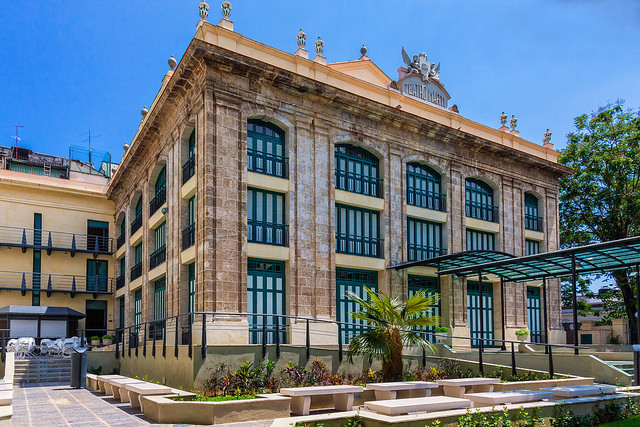 Other places of interest when visiting the Teatro Marti include El Capitolio (Cuba’s replica of the US Capitol building, currently being renovated), Chinatown, Parque Central, Fraternity Park, the famous Partagás Cigar Factory and Cuba's most important opera and ballet house: Havana's Gran Teatro.